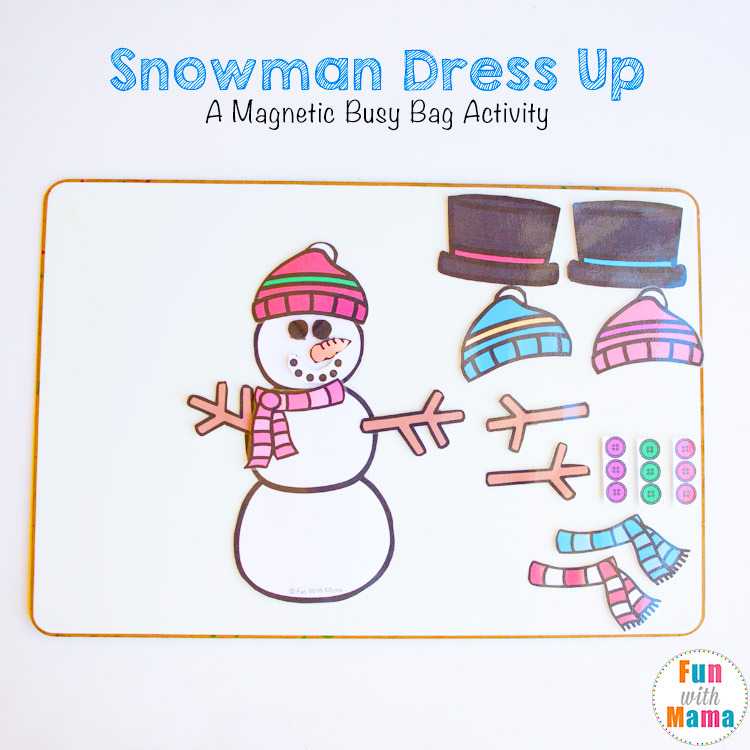 I’ve been looking out for some DIY busy bags, restaurant kits and quiet time activities that would be suitable for toddlers and preschoolers that would encourage new vocabulary words, encourage color recognition and imaginary play. 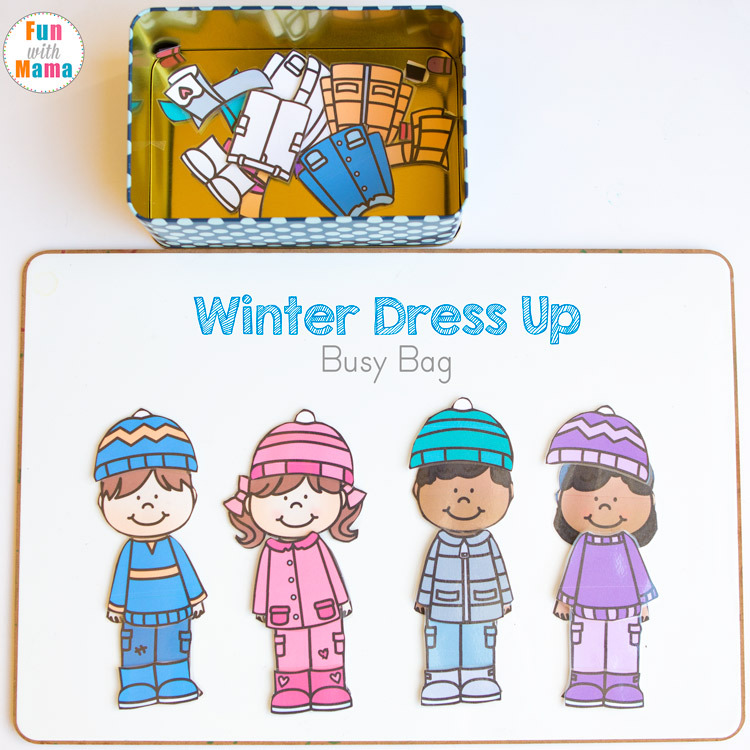 These free printable winter paper doll dress up busy bag clothes was the perfect solution! 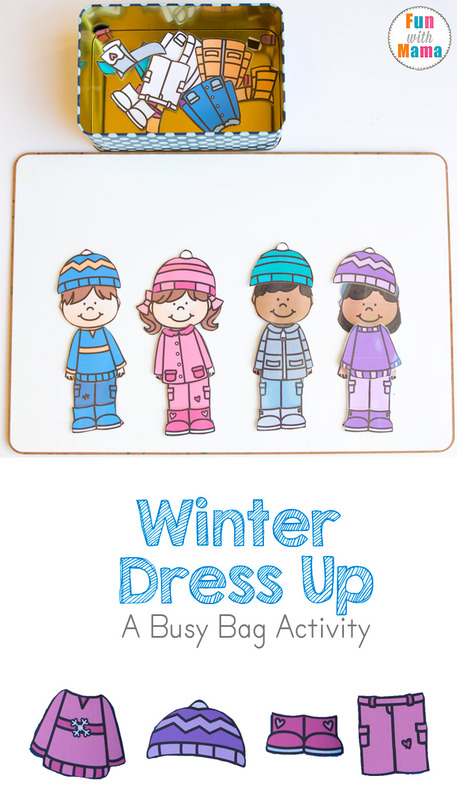 I love that dress up activities attract a wide range of ages. 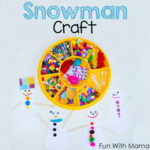 Kids will play while working on color recognition,, color matching fine motor skills, vocabulary and are just plain fun! 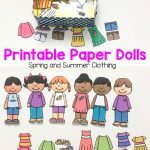 Our Spring Printable Paper dolls are just as adorable! Materials Required: Please note that affiliate links are used in this post. The printable activity at the end of this post. A magnetic surface. 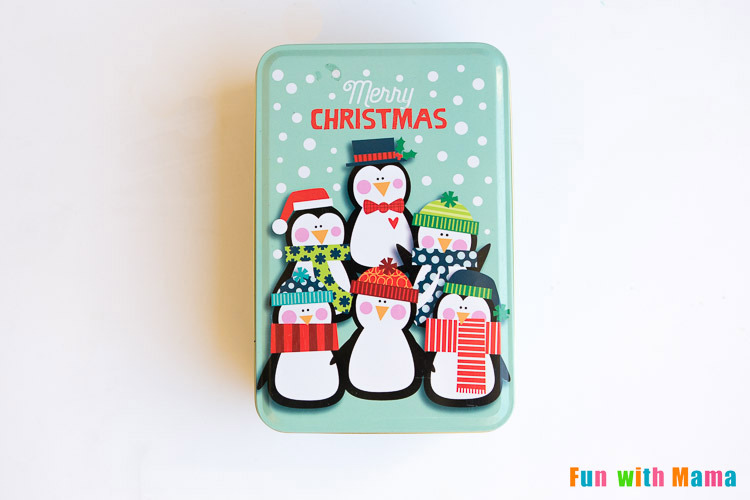 You can use a cookie sheet, magnetic whiteboards or even a metal container. 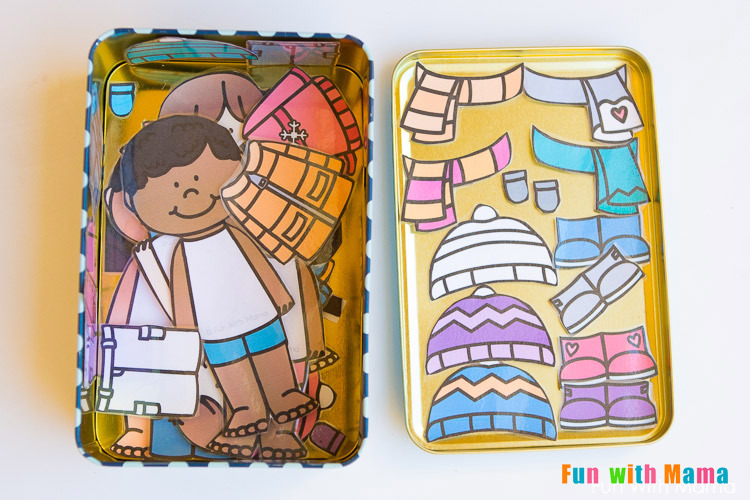 Enhance the activity with books: We love this paper doll book. 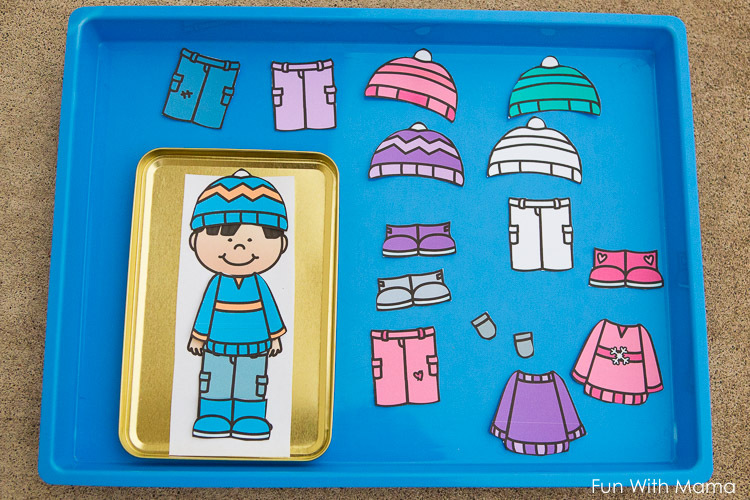 To set up this activity all you need to do is print out the pdf on to card stock. 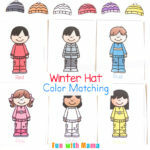 There are 4 different paper dolls to choose from. I printed them all for my 3 year old. Make sure to then laminate the pieces. 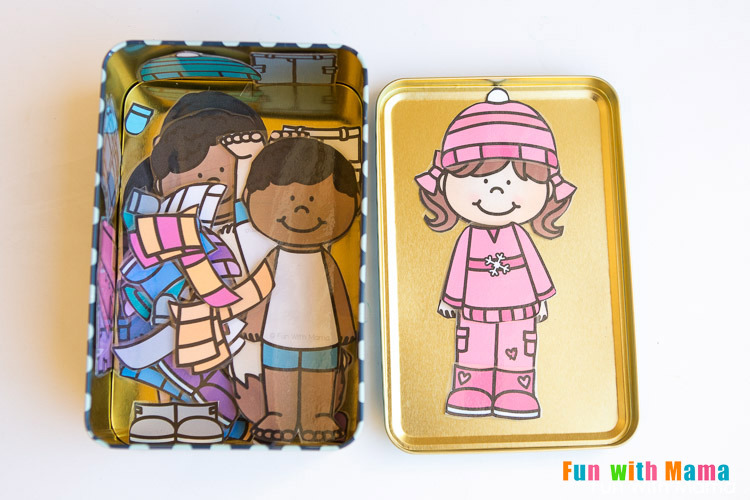 Laminating the pieces really makes it easier for kids to handle because it makes them much more sturdy! After you cut out the laminated pieces use the magnets I linked to above and cut each magnet piece in half. If you need help with positioning your magnets on each piece leave a comment and I will update this post with the back of my pieces. The picture above is before I laminated the pieces and attached magnets. It was definitely much harder on my hands to position things correctly. Once it’s ready you can allow your child to play with it. 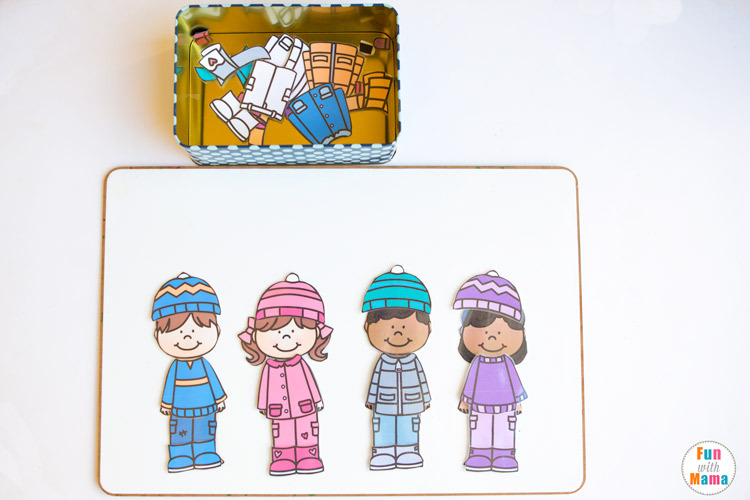 I found these adorable metal containers at the Dollar Tree and I was so excited because they were perfect for these paper dolls! I love that I can just grab this container on my way out and use it as a restaurant kit to keep the kids busy while we are out. 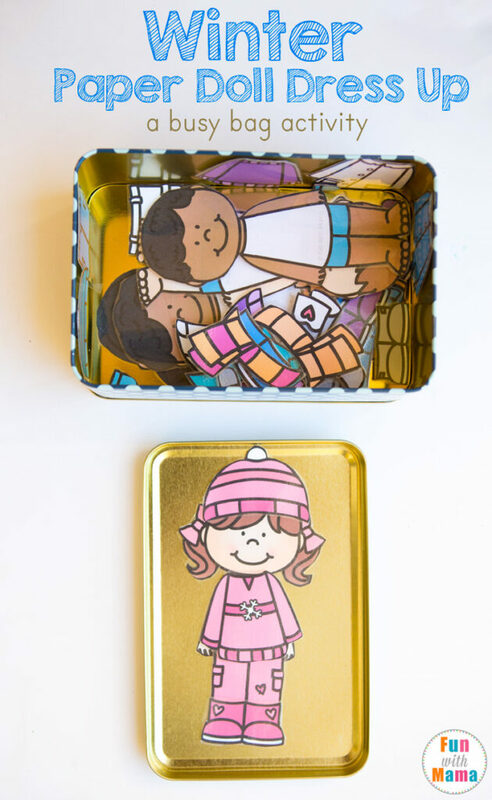 I love that the metal tin is so versatile and it can transform into a little “closet”. Yes, I know its obvious that this activity was more for me than it was for them. I love quiet time activities like this! 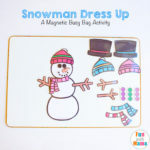 Do you like dress up printable activities? Let me know in the comments below. 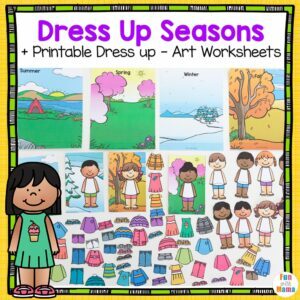 Have you heard of our new Seasons Dress Up Dolls Printable Pack? 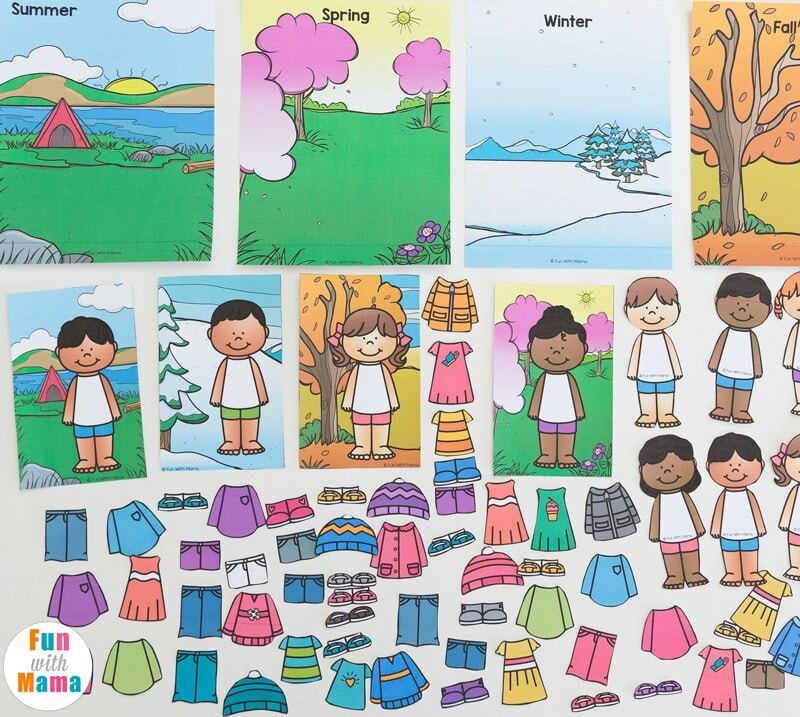 It includes seasonal backgrounds, paper dolls in two sizes, 16 different paper dolls, a season sorting activity and some printable worksheet like coloring pages for unique paper dolls. You can also see a preview file here that shows you more close up details. 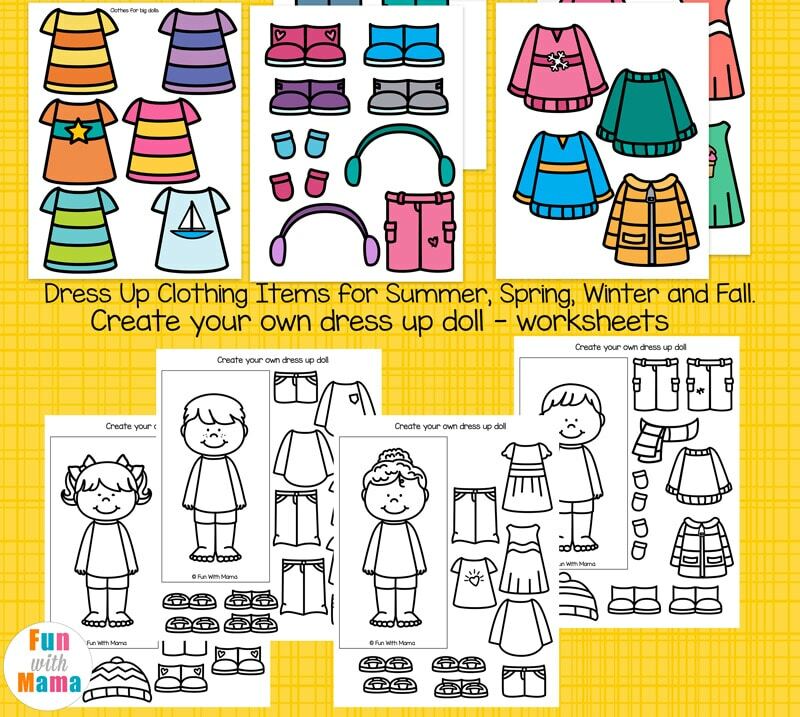 You can get the full printable paper doll activity by clicking the image above or here: Paper Doll Dress Up Seasons or here on Teachers Pay Teachers. The children in my class absolutely loved these! 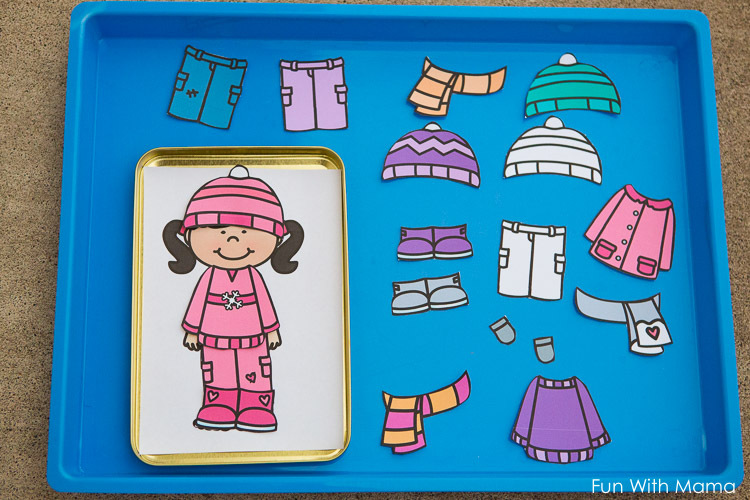 I work in special ed in the UK and one little girl who never speaks actually said ‘hat’ and ‘coat’ while she was dressing her doll.